The Open Atmospheric Society has a scholarly journal, Journal of the Open Atmospheric Society or Journal of the OAS for short. It is open to full members for publishing scientific papers, letters, and rebuttals, and to associate and student members based on meeting publications requirements and a vote from the OAS publishing committee. All submissions go through a peer review process, and all technical submissions must meet strict requirements at the time of submission. See below for the requirements for submission. Submitters need not be members, but since the society is membership supported, membership is encouraged. All submissions must be in electronic format, no paper is accepted. Submissions can be made via XML import, or by direct composition using the tools available in the journal website. 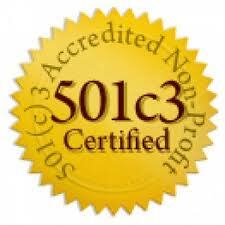 Submitters must clearly identify themselves in a way that can be verified. A small administrative fee (TBD) will accompany each submission, to cover costs of time involved in setting up author accounts, importing content, and administering the process. The administrative fee is waived for publications by members of the OAS. Submissions must be relevant to the scope of the society. Submissions must include all data, code, algorithms, software, and other necessary materials to be able to independently replicate the submission. Without these materials, submissions will not even be considered. Despite significant advances in most forms of publishing, from blogs to news sites and other user-generated web content, the process of authoring scholarly articles remains an expensive, time-consuming process that can require significant up-front investment and technical expertise. While a number of electronic publishing and workflow management systems exist, those intended for the scientific publishing (SP) community provide at best only rudimentary authoring tools – and in many cases simply provide a repository for document files created in other formats. It is as if the entire revolution in online, web-based content authoring tools has passed by the SP community. And despite the development of advanced document formats such as the National Library of Medicine’s (NLM) journal article publishing tag set, virtually no current system allows scientific authors to easily create structured XML documents using simple web-based tools. Modern platforms such as WordPress provide a model for a successful eJournal authoring platform – WordPress is extremely simple to set up and run, with rich, user-friendly web-based editing controls and easily-extended functionality using plugins. The WordPress platform not only provides free and open access to source code, with a diverse and productive ‘ecosystem’ of developers for themes, plugins, and extensions, but also numerous cheap or free hosting opportunities for technical and non-technical users alike. Annotum is an open-source, open-process, open-access scholarly authoring and publishing platform based on WordPress, built on the Carringon Theme framework. 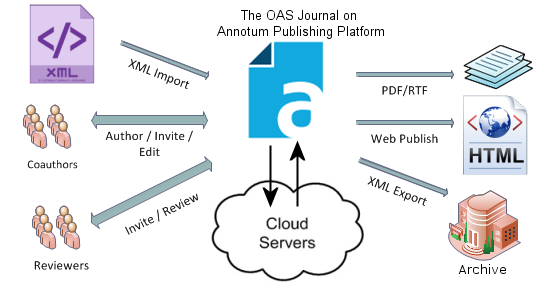 Annotum provides a complete, open-access scholarly journal production system including peer-review, workflow, and advanced editing and formatting features such as structured figures, equations, PubMed and CrossRef reference import, and structured XML input and output compatible with the National Library of Medicine’s Journal Article DTD. The OAS is a member of CrossRef, and will assign a DOI to each publication.